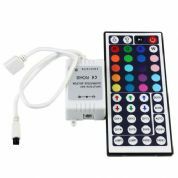 The remote is professional designed with a touch color wheel, it enables easy remote operation with RF (Radio Frequency) system for RGB LED Strip Light 5050 or similar. 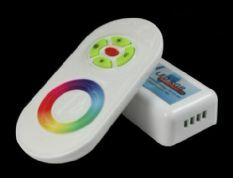 The RF 8-key RGB controllerit can carry out jumpy changing,gradual changing,stroboflash and other effects of change. 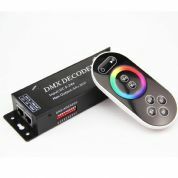 Designed to run 12v RGB LED strip light/modules this controller is fantastic for mood changing light to just about any colour with millions of colours tochoose from. 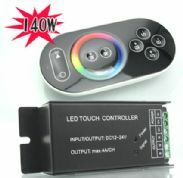 Multi Function LED Controller is perfect for all your IPLED products like RGB flexi strip. 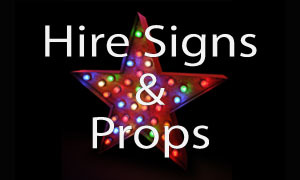 Comes with a hand held remote control that can wireless control from 50mtr. 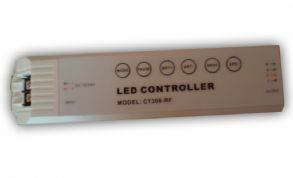 This RGB LED contoller to control lightstrips wirelessly. Very convinient with IR remote. 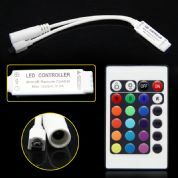 Easy to use Colour Change Controller for all 12V and 24V RGB LED Light Strips. 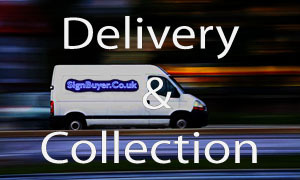 Can create almost any colour cycling effect and is adjustable for speed on many cycles. Easy to use Colour Change Controller for all 12V and 24V RGB LED Light Strips. 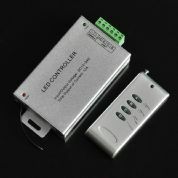 This RGB LED contoller ideal to control lightstrips wirelessly. 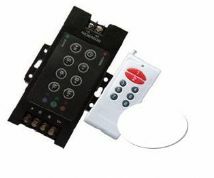 Very convinient with touch remote. 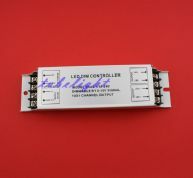 OT DIM LED Dimmer Controller 10A/Channel to receive 0-10V dim signal. 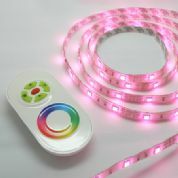 This RGB LED contoller ideal to control lightstrips. 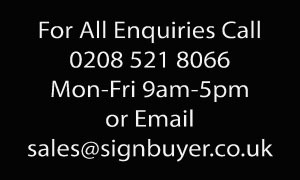 Very convinient with touch control. 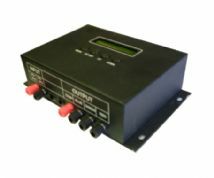 This sound sensitive LED controller perfect for parties or places where the light effects has to follow the beat of the music. 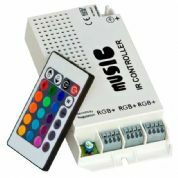 This RGB LED contoller ideal to control lightstrips wirelessly. 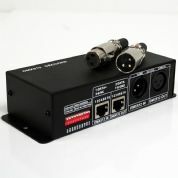 Very convinient with IR remote.